Paradigm Securities has a number of experienced and well respected Resources sector analysts, producing sector and company coverage across a range of market caps, metals and minerals. With nearly half of all ASX listed stocks (by number) in the resources sector, Paradigm Securities coverage and expertise adds value to investors and corporates alike. 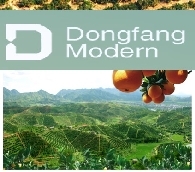 Dongfang Modern&apos;s growth has come on the back of two key trends: firstly, the growing personal income levels and the rising living standards in China are improving the diets of the population by increasing the quality and range of foodstuffs available for consumption.